This month, the MTSBC church planters from across the state, along with their families, got a slight reprieve from the cold winter weather at the annual Church Planter Retreat at Fairmont Hot Springs. This is not only a time for learning, but for encouraging and getting to know one another. The speaker this year was Dr. Rob Blackaby, President of the Canadian Southern Baptist Seminary. Dr. Blackaby was able to encourage and uplift the church planters and their wives while teaching them strategies to help with the struggles they face in ministry. 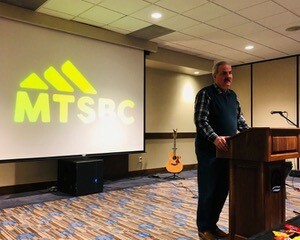 “The MTSBC Planters Retreat at Fairmont was such an encouragement! 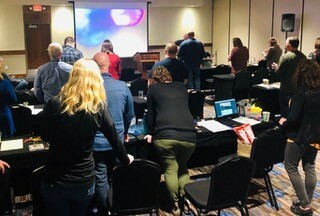 Dr. Blackaby spoke with understanding about what it means to launch a church in this region and our state staff did a great job of making the retreat first class,” said Pastor Dave Carroll of Elevation Church in Billings. Using the theme, Hope Rising, Dr. Blackaby spoke on everything from leveraging crises in life to enjoying the hope of God’s presence. “Every time a crisis comes is another opportunity to trust God,” Dr. Blackaby stated during the first evening session. 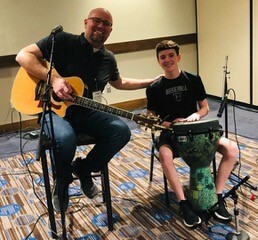 The worship time was led by Pastor Dave Carroll and his son, Drew. One of the goals of the retreat is to give planters and their wives time to worship together without the responsibilities of leading a church service on their minds, or, in many cases, leading the music themselves. They were able to just focus on worshiping God. 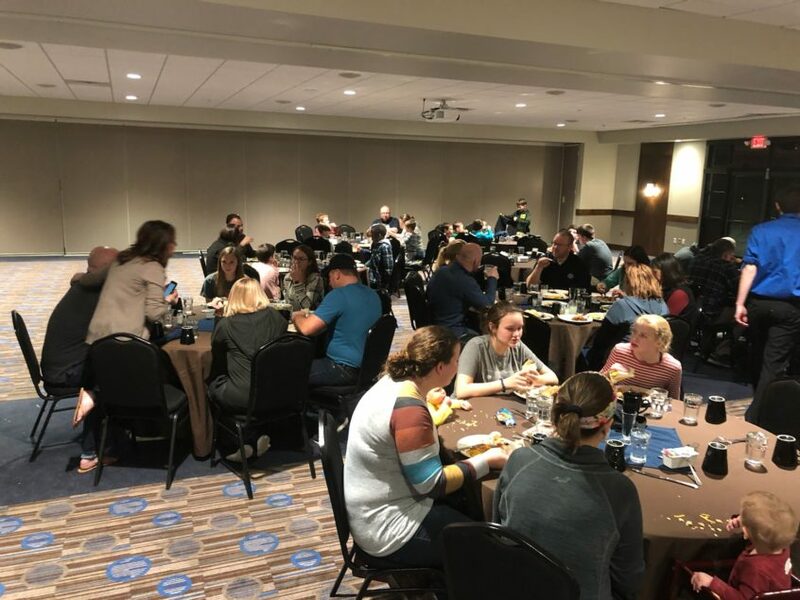 In addition to the quality sessions and worship time, there was plenty of free time, allowing the church planters, their families, and MTSBC staff time to fellowship and get to know each other better, soak in the pools, or just spend one-on-one time with each other. Building these friendships is important, especially with the geographical distances that usually face pastors in Montana. It can also be encouraging to know others in ministry have dealt with some of the same issues. “The retreat was an amazing time of refreshment as a planter and as a family. It was a restful time physically and spiritually. Especially because planters and their families rarely get rest,” said Church Planter Kyle Rosas of Gateway Church in Columbia Falls. Please keep our Montana church planters in your prayers. 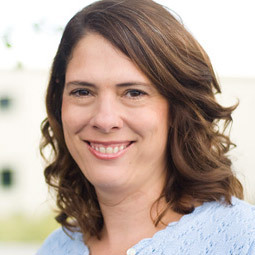 They face many struggles while adjusting to a new ministry, often in a new part of the country. To learn more about church planting in Montana, including potential places to plant a church or existing church plants to help sponsor, go to www.mtsbc.org/plant or contact MTSBC Church Planting Team Leader William Johnson at wjohnson@mtsbc.org.